Although the 2013 UK festival season is still only a tiny glimmer of light at the end of that long, dark tunnel known as winter, the green buds of hope are already starting to appear. While many of the UK’s biggest festivals are keeping their dream 2013 line-ups close to their chests, some of the world's biggest bands have already been announced, or at least rumoured, by those willing to show their hands early. Bands already confirmed for various 2013 festivals include Queens Of The Stoneage, Slipknot, Levellers, Asian Dub Foundation and Iron Maiden, while The Rolling Stones, Bon Jovi and Kiss all remain as possibilities. Find out who is set to play where with our PAAM volunteer software roundup of the 2013 festival band rumours and news. 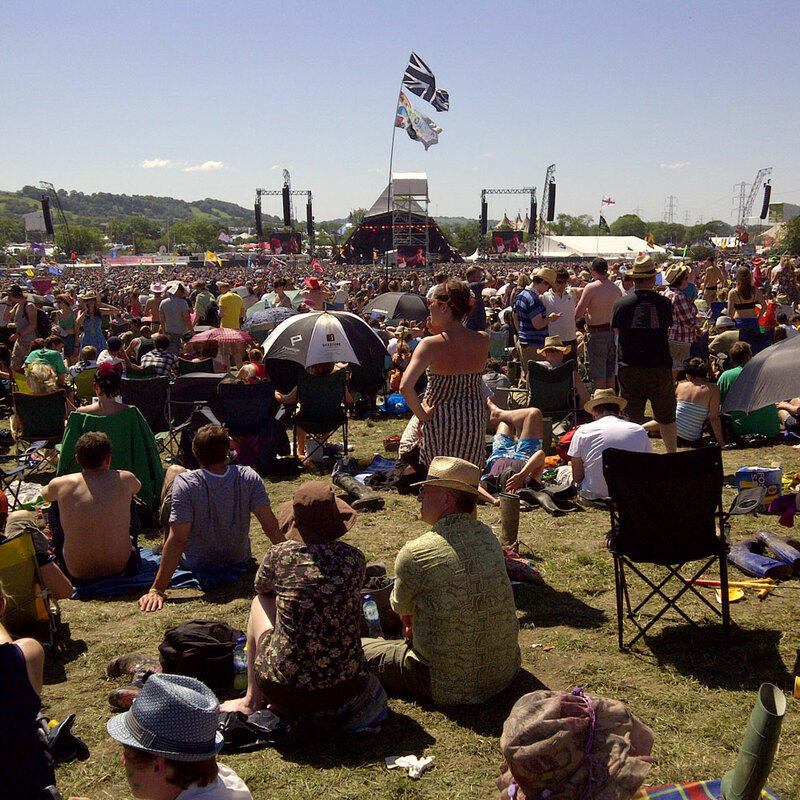 Both Emily and Michael Eavis have excited Glastonbury-goers by suggesting that The Rolling Stones could headline the 2013 Glastonbury Festival. The veteran rockers, who are celebrating their 50th anniversary this year with four sell-out November shows at London's O2 Arena, have never graced the stage at Worthy Farm. According to an article in The Sun, Michael Eavis is said to be "desperate" to get the band tied down to play the Pyramid Stage and has already contacted "their people". A source told the tabloid, "Getting a decision from the whole band can be tough and, at the moment, they are without an agent for live shows, which is not helping the situation. But there is a good chance 2013 will finally be the year they make it." Meanwhile, Michael's daughter Emily told NME, "We'd obviously like that to happen, we've always been quite open about that, whether or not it does, I cannot say." Emily added, "We would love it to happen next year, we feel like if it's going to happen, it's got to happen next year." 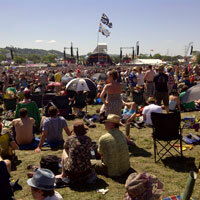 Stones frontman Keith Richards got hopes up even further after refusing to rule out Glastonbury as an option for 2013. "On a good day, if the weather's fine, that's an interesting proposition. The band wants to get these four gigs under their belt and then think about next year after that. Anything is possible with this band" he said. In the words of The Stones themselves, "You can't always get what you want"...but we really hope we do! Emily Eavis has refuted rumours that both The Smiths and The Stone Roses will be playing at Glastonbury 2013. Speaking in an interview with NME, Emily confirmed, "There are no talks happening with The Smiths. It's good to rule these ones out because every year it's always the same ones rumoured." After inviting her Twitter followers to suggest bands for next year's event, Emily also put an end to speculation about The Stone Roses with a simple and decisive: "Stone Roses not playing next year." Rumours about the band's possible 2013 appearance have been circling since June, after reports suggested that a deal had already been struck. No such luck! 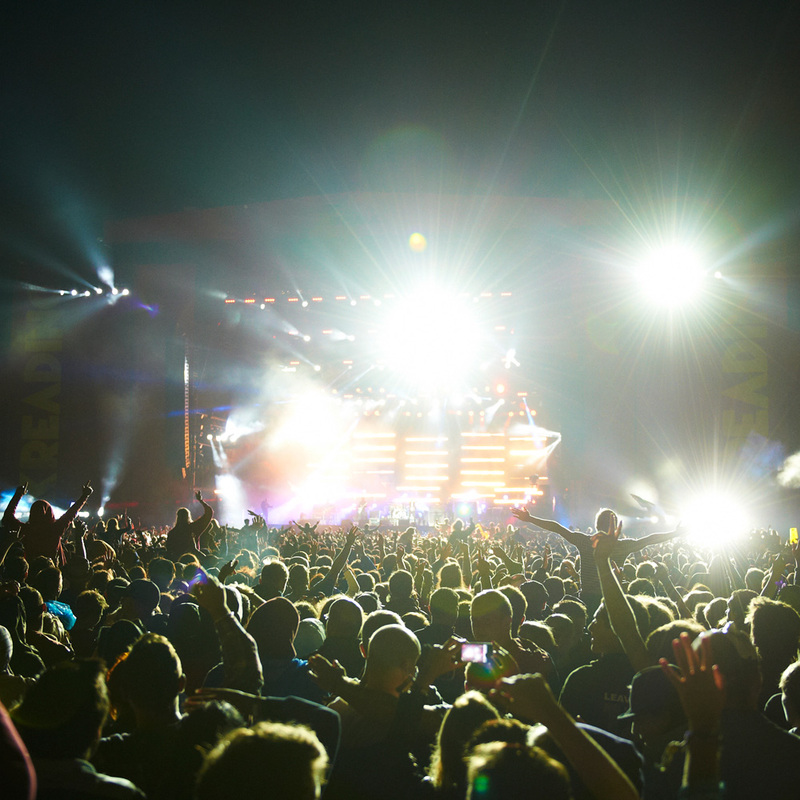 Despite revealing that two headliners have already been tied down for Reading and Leeds Festival 2013 and another is in the pipeline, organiser Melvin Benn claims The Stone Roses are unlikely to be part of that line-up. Speaking in an interview with NME, the managing director of Festival Republic said, "We've got two out of the three headliners already secured. The third - we know exactly who we want. We haven't made the approach yet, [but] my feeling is they want to do it. My feeling is probably that they [The Stone Roses] are not on our list." The Vaccines are the first band to be confirmed for next year's Live At Leeds festival, which will see dozens of live acts descend on various venues throughout the lively Yorkshire city. The west London indie-rockers will play the headline set on Sunday, 5 May, 2013, at the iconic Millennium Square. No other acts have yet been confirmed by the organisers, but this year's event drew in the likes of The Subways, Marina And The Diamonds, The Enemy and Ladyhawke, so expect a great show! Download Festival has started early in its preparations for 2013, with organisers already confirming all three headliners for next year's event. Masked metalheads Slipknot will join German electronic rockers Rammstien and heavy metal vets Iron Maiden at Leicestershire's Donington Park next June. This will be the third time Slipknot has headlined the festival, after first appearing in an unforgettable debut set in 2009. Speaking about the 2013 booking, the band's Clown said, "We are extremely honoured to have been asked once again to headline the Download Festival. This most definitely will be an experience not to be missed. Every time we've played Download we have created memories. Download Festival organiser Andy Copping also said he is thrilled to have secured the American band for another year. "Slipknot's last appearance at Download has gone down in the festival's history as one of the best ever headline sets. God knows what they'll have in store for 2013 but I'm looking forward to seeing how they'll top the last one" he said. California rockers Queens Of The Stoneage, who are currently finishing a brand new album, will also be appearing at Download Festival 2013 in what will be their first ever performance at the Donington Park event. But even more exciting than that perhaps is the unconfirmed rumour that Kiss could be headlining the event's second stage. We'll let you know when it's time to break out the black and white face paint! Also set to perform at Download Festival between June 14 and 16, 2013, are Motorhead, Volbeat, Gaslight Anthem, 30 Seconds to Mars, HIM, A Day To Remember and Alice in Chains. New Jersey rockers Bon Jovi are to play at the Isle of Wight Festival 2013...if you believe what you read in the British tabloid press that is! According to the Daily Star, the band's frontman and namesake Jon Bon Jovi said about the festival, "It's legendary, so we're really glad to be a part of that." Since forming in 1983, the band has sold more than 130 million albums across the world. It is now rumoured that they will appear at the island festival after completing their 'Because We Can' tour next June, which will see tickets for gigs in Cardiff, Glasgow, Sunderland, Birmingham and Manchester offered for as little as £12.50. Bon Jovi has been linked with the festival previously but never actually played there. 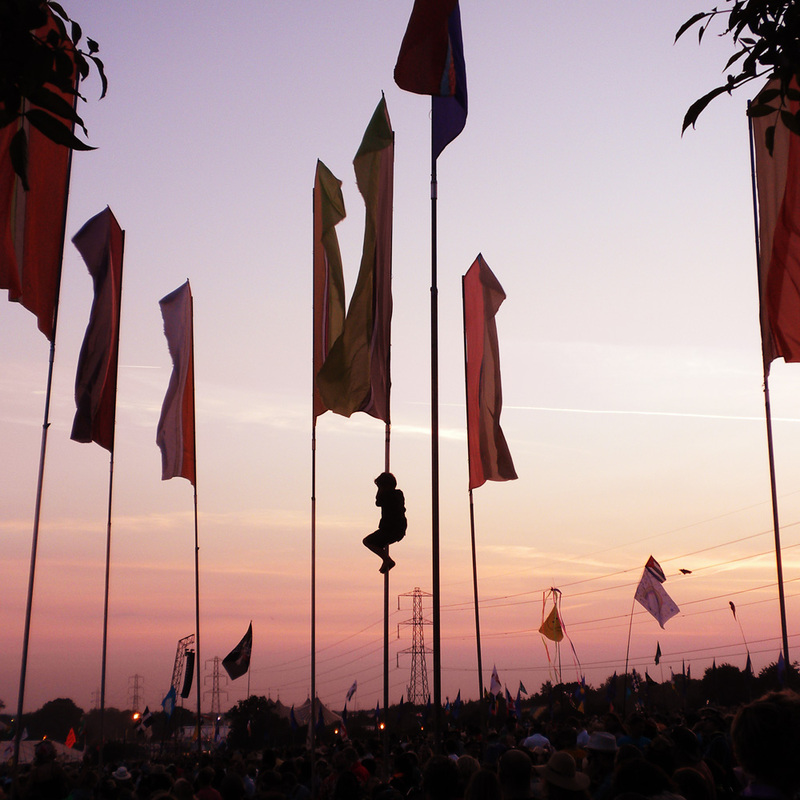 Isle of Wight Festival 2013 dates have now been confirmed for 13-16 June despite last month's call to review the licence following severe disruption seen at the 2012 event due to flooding. 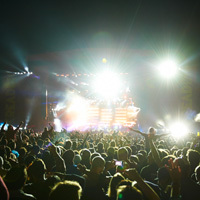 Although no acts have yet been officially confirmed for the Isle of Wight Festival 2013, sources have apparently told eFestivals that DJ and producer David Guetta could be on the bill. Since first coming on the scene with debut album Just a Little More in 2002, the French R&B, hip-hop and electro fusion guru has sold five million albums worldwide and appeared at festivals including Creamfields, T in the Park, V Festival and Hackney Weekend. Whether or not he will tear himself away from his regular summer residency in Ibiza and head for the chilly shores of the UK is still a matter of debate, however. Family-friendly festival Bearded Theory has announced the majority of its Main Stage line-up for 2013. The organisers, which each year try to break the world record for the most people in fancy dress beards in one place, have given Levellers the coveted Sunday night closing slot after the band was forced to pull out of this year’s event due to their fiddler’s finger injury. They will be joined by New Groove Formation, Ezio, The Farm and Goldbalde. 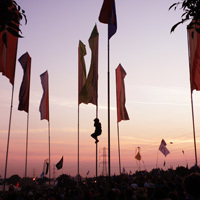 After the festival is opened on Friday, 17 May, 2012, by Life & Times of Brothers Hogg, the Main Stage will welcome indie chart toppers The Bee Keepers, Scottish folk singer Karine Polwart, and culminate with a headline set from Sheffield showmen Reverend And The Makers. Punky electronic indo-dubbers Asian Dub Foundation will headline on Saturday night, with reggae legend Macka B, classic rockers The Quireboys and folk singer Seth Lakeman warming up the crowd. The Derbyshire event, which is moving into its sixth year, still has a whole host of acts to announce, but organisers say many new attractions will be introduced for 2013. Ticket holders can expect a new cabaret area packed with comedy and weird and wonderful performances of all kinds, as well as a special family camping area with a playground and picnic tables. "A huge effort is going into improving the site visually and we have sourced a number of art collectives from all over Derbyshire to come and create various areas, gardens and add a bit more weird stuff everywhere" the-bearded-powers-that-be told eFestivals.